Cavemen used to etch and scratch dancing figures on the walls of their caves. Today’s caveman will be in big trouble with his cavewoman if he tries to scratch anything on the walls. 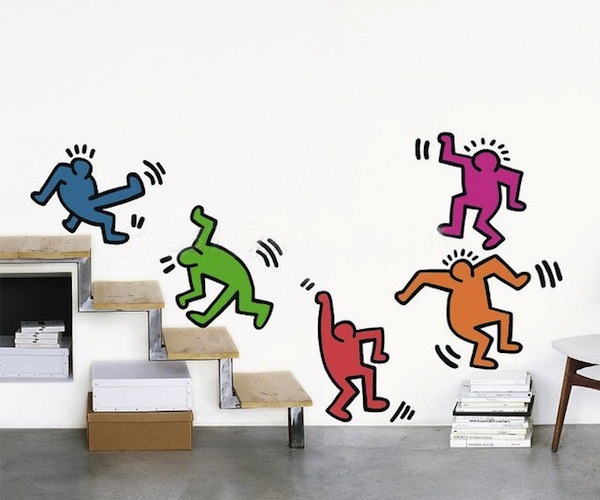 An acceptable compromise is the Dancing Figures Wall Decal, designed by famed artist Keith Haring. The wife will love it as a work of art. Meanwhile, you get to fulfill your ancient caveman urge to despoil clean walls with graffiti. It comes with five dancing figures that can be easily applied and removed.